If you are subscribed you will receive this May Sticker Sheet Set in the next email! I want to thank all of my followers and give a little extra to those who continue to support me and my blog. If you follow me on Instagram, Facebook, & by E-Mail, I will be offering freebies, and discount codes to my Etsy Shop. It will all be random and it will be at different times. So be sure to follow me everywhere to make sure you get those extras! My first offer will be going into your inbox (if you are subscribed) Friday morning! So don't miss out! So here is the May Kit that is for my subscribers. 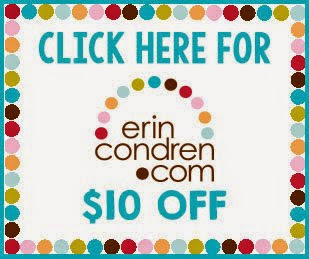 They match the Erin Condren Planner perfectly and is great for making lists, decorating, and planning your week! You will be able to print it onto sticker paper and cut it out by hand or use a pixscan mat to cut it using your silhouette cutter! Unfortunately it is just a PDF file, but you can definitely print it out as many times as you'd like! So here is how I decorated my week using this kit! Quote boxes to fill in empty boxes, and checklists with lines to make to do lists neater! you can find the small heart checklist boxes here in my etsy shop! Heart checklists for long or short to do lists! Decorate the week with these cute images! All decorated and ready for May! May Kit Stickers in action! For ready to use stickers please check out my Etsy Shop! I have all kinds of these stickers in a variety of patterns or colors from checklists, to labels! Click below to shop now! Ahhhhh!! Season 5 of Game of Thrones airs this Sunday!! I am beyond excited and of course I had to make some stickers for them in my planner! 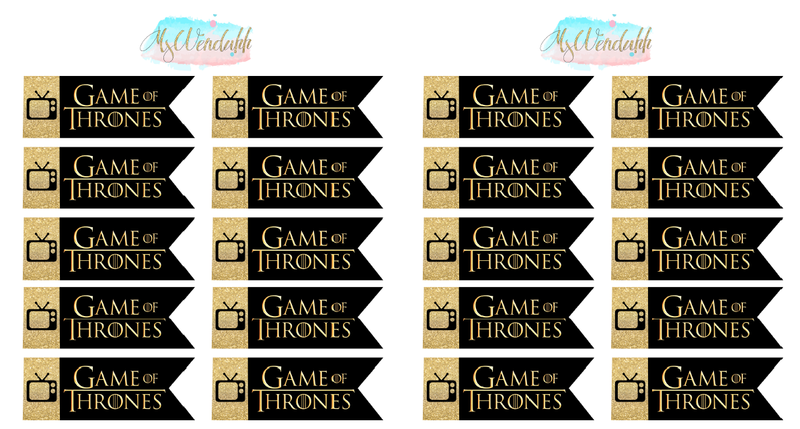 So here are some tv show stickers for you to mark down days when the show is on! If you're a fan of the show please feel free to download these stickers and print and cut them to use in your planner as well! I have made them in both a larger and smaller size, the larger size is about 1.5" in length and the smaller ones are just under 1". I am using a field notes sized midori so I had to make smaller ones for my planner. If you have a silhouette portrait just download the file below and it should already be set to print and cut just use white sticker paper & cut on your sticker paper settings. I get a ton of questions of how I cut out my sticker sheets. 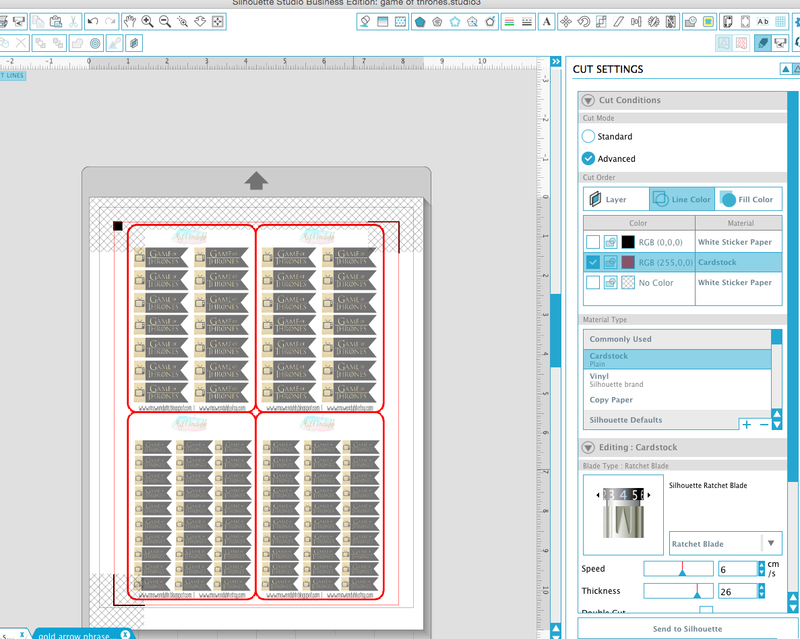 So to cut out the individual sheets for easier storage, once it has finished kiss cutting, just click on the cut settings and click on "advanced" in cut mode. Then click on cut by layer or color, and just choose the color or layer that is only the rounded rectangle sheets shape(see below, in my file, I have it cut by line color and only cut the red line, it wsill highlight what it will cut so just be sure only the sheets are highlighted.) Cut that on cardstock settings and run it through your portrait again to get nice rounded sheets! Easy peasy! There's a way where you can even do it all at once with this feature but I like to play it safe, so I do it separately. Hi everyone! I am so excited to share with you all my new Midori inserts !! These are all undated for easy printing and to use for forever! I have made a month on two pages monthly planner, a week on one page with tasks checklists weekly planner, and a bullet journal type day on one page daily planner! Printing is easy! All you have to do is print these files on letter sized paper double sided with short edge binding. If you don't have a duplex printer, simply print odd pages first, put printed pages back into printer facing up, then print even pages. To put together your insert just fold the paper in half (landscape mode) & press down firmly. 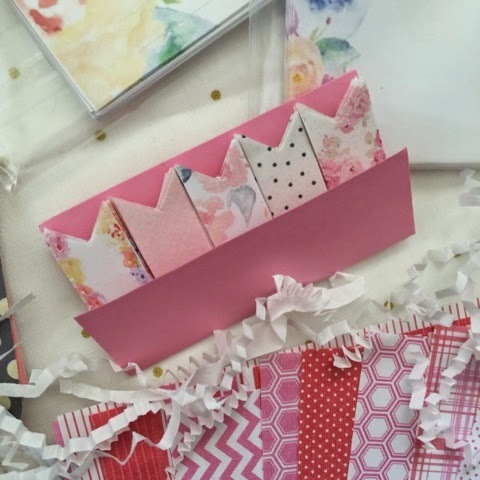 You can also choose a cover out of cardstock or scrapbook paper and wrap it around the booklet, then using a metal ruler and an exacto knife slice slowly and steadily along the edges (i provided cut marks for you as well in the printable) Once trimmed, just bind using a stapler. I got this awesome stapler from amazon and it was only $5.99! It's a long reach stapler so you can easily staple your book together! 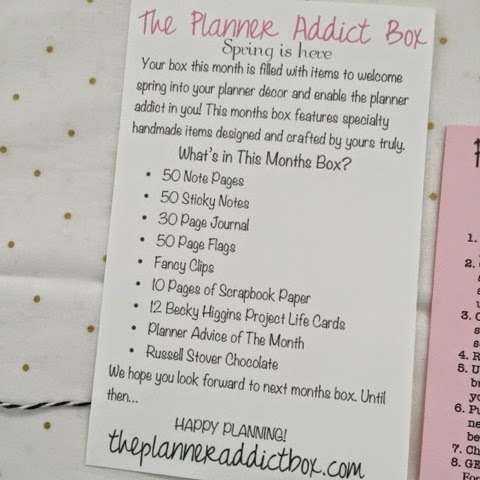 If you love getting happy mail every month or just would like new planner supplies every month then you have to subscribe for the The Planner Addict Box! For only $15 a month (plus $3.50 for US shipping!) you will get everything you need to make your planner pretty! UPDATE: Theses boxes are also available for International customers. Shipping will be $13 for first class or $23 for priority mail. 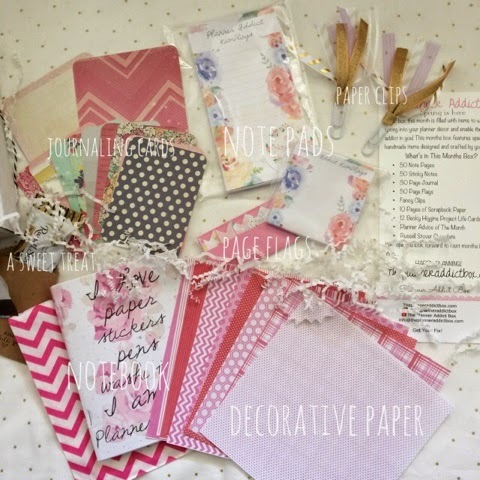 A lot of people can't get their hands on some of these products like project life cards, cute note pads and page flags and more, so it's a great way to finally own these decorating tools for your planner without paying an arm and a leg for shipping! 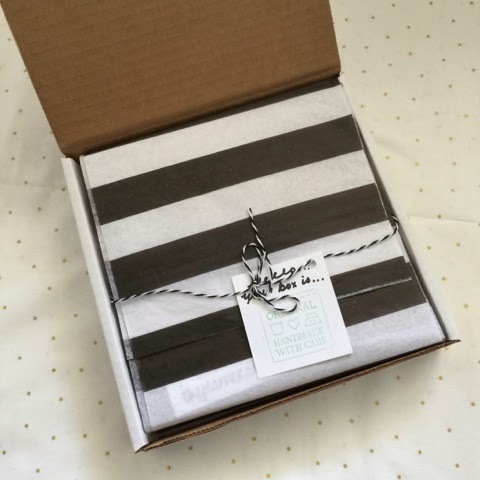 I've always loved subscription boxes because it was always a nice surprise in the mail. I loved the anticipation of waiting for it to get to me. And when Vienna from my_planner (on Instagram and YouTube) launched theplanneraddictbox and offered to give me one I was ecstatic! Waiting for it in the mail was so exciting but even more exciting was seeing how beautifully wrapped everything was. Here's a quick glimpse at what I received in my first box. I will be showing you all as well how I am using all of these supplies in my planner! Here is the box it will come in! Look at how pretty it is! It's like Christmas every month! So much love is put into the making of this box! Love the little touches of notes & chocolate!! I always love when there is welcome note with everything we receive in the box. Look at all of that! And for only $15 that's a great deal! I love getting partial kits of the project life cards because I never use up the whole box anyways. It's so awesome to receive these in the box! And you can never find cute page flags that work nor fancy clips in stores! One of my favorites from this box was the planning advice. Vienna is a planner genius and her advice is so well thought out and works! 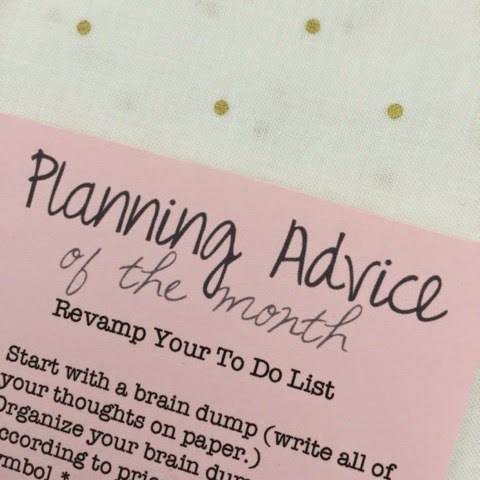 I've watched most of her YouTube videos and they really have helped me to become a more productive planner! I can't wait to see what next month's advice will be. 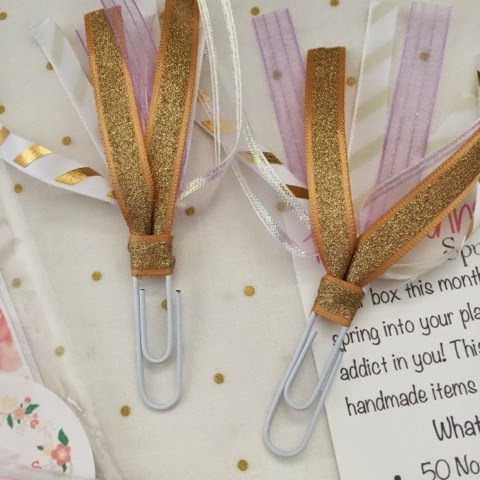 Love these cute gold and lilac ribbon paper clips they are so frilly and super secure. 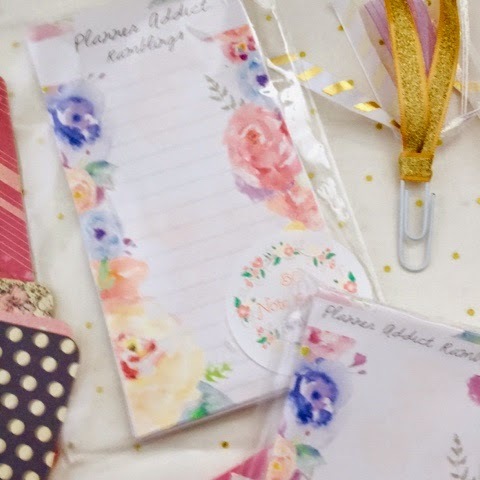 Gorgeous watercolor floral notepads! And it says "planner addict ramblings" at the top! Forget the target ones I'll use these only please! Beautiful floral page flags! I use these to mark down events in my monthly calendar that aren't for sure yet in case I need to move them around. I also use them to decorate my pages or as a header/title. So many uses! These actually stick unlike the target ones! I love them! How I am using my box with my FoxiDori planner. I took about a quarter of the notepad and attached it to front cover for quick lists or notes I need to jot down! Project life cards sit in my zippered pocket for quick lists in my planner. I've attached the planning advice to front of my planner notebook to remind myself of these useful tips. & here I used the page flags to mark down some events that I wasn't sure of dates yet. I used the decorative papers to decorate one of my notebooks! 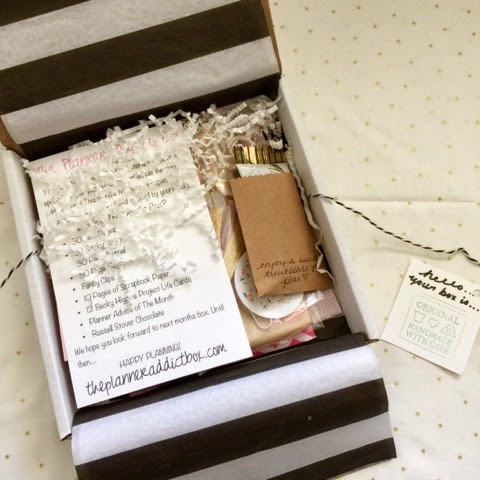 Order Your Planner Addict Box Now!! I absolutely love theplanneraddictbox. It's not just pretty, it's also useful! I've been using just about everything in this box for this month, as you can see in my photos above. My planner is filled with it all! Right now they are taking orders for their May box! 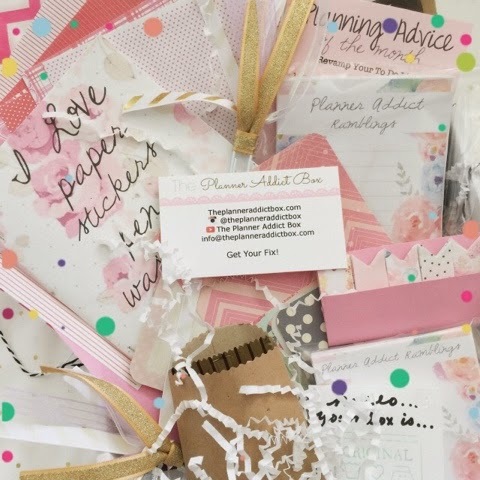 Hurry on over to theplanneraddictbox.com to be sure to get your very own box. The deadline to sign up for May boxes is April 21st, so run & get your fix! May's box will be a surprise! That's the fun part of subscription boxes! Be sure to follow theplanneraddictbox for sneak peaks though! I'm so anxious to see what next month's box will be filled with, gorgeous decorating tools and tips for sure! 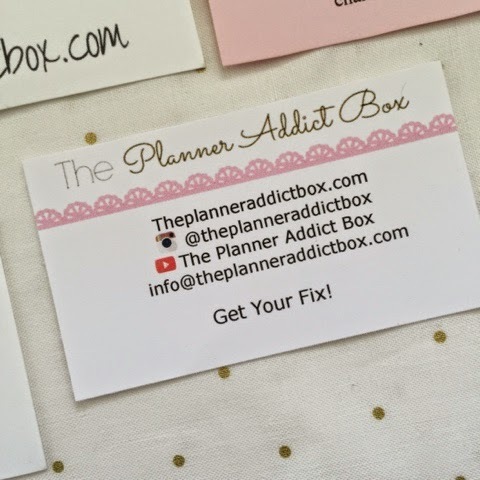 Here is where you can find and order yourself the planner addict box! Click on the links below to learn more!